As a tribute to fans, Firaxis is offering a free Mongols Civilization and Scenario Pack as well as the Babylonian Civ for purchase on Oct. 26th. 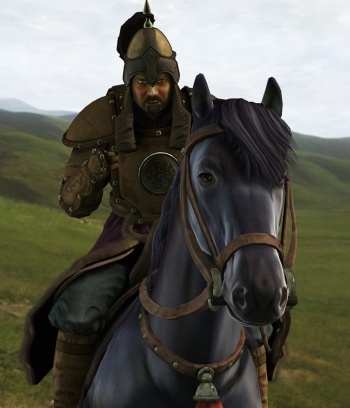 You can download the Mongol pack through Steam and use Genghis Khan's Mongol Horsemen to take over swaths of Asia and Europe. 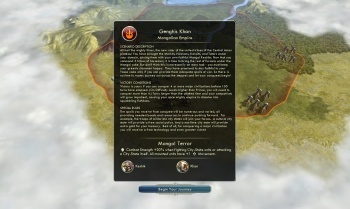 The free DLC will contain a scenario allowing you to start from Khan's humble beginnings to eventually dominate the largest empire known to man. 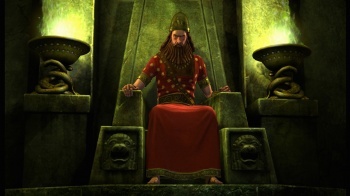 Also available on Oct. 26th is the Babylonian Civ Pack with which you can take on the role of Nebuchadnezzar II and bring peace, or not, with your Babylonian Bowmen. The Babylonians were previously only available to those customers who bought the Digital Deluxe Edition. The Babylonian Civilization Pack will cost $4.99. Both packs require the full version of Civ V to play. While I'm as excited as the next guy to hear about more Civ V content, I'm a little confused as to the pricing of this DLC. I mean, it's awesome to get some free DLC with the Mongol pack, but why in the name of Sid Meier does exactly one civilization cost five bucks? That just doesn't make sense. Perhaps Firaxis is just experimenting to test the DLC waters, but I hope they get a more sensible price structure. 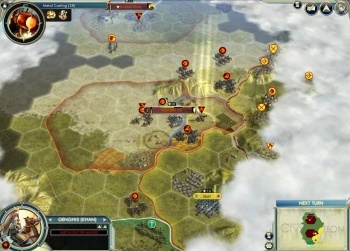 Each new Civ should only be a $1, while scenarios or more content can be a bit higher. What do you guys think? Am I taking crazy pills? Will those of you who didn't nab the Digital Deluxe Edition buy access to one civ for $5?